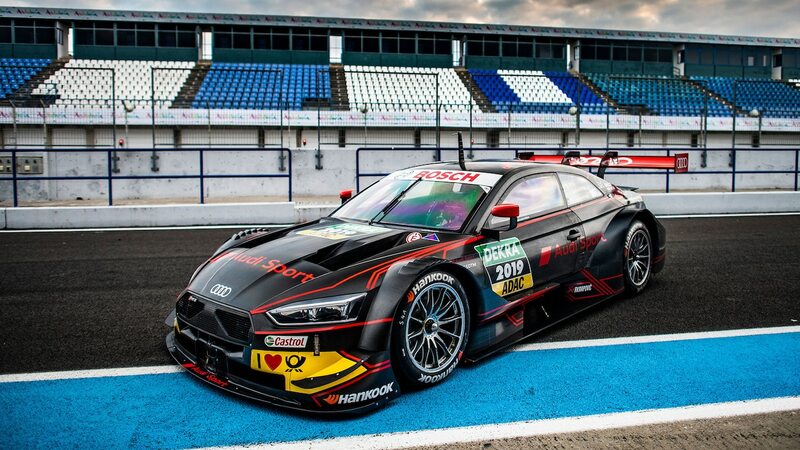 Unlike other series, DTM requires teams to use the same engine for an entire season. For 2019, that includes nine races each covering various distances, in addition to practice and qualifying sessions. That’s a lot to ask of an engine pushing as much as 50 psi of boost. To help ensure longevity and reliability, Audi says it spent two and a half years developing the engine. Of that time, roughly 1,000 hours were spent testing on a dynamometer. The 2.0-liter replaces the old naturally aspirated 4.0-liter V-8 Audi previously ran in DTM. The switch largely comes down to the series’ bigger focus on fuel consumption for 2019. Regulations now require that cars consume no more than 95 kg of fuel an hour (or 100 kg/h when using the short-term “push-to-pass” 30-hp boost). According to Audi, that’s comparable to what was expected of diesel engines in the past. 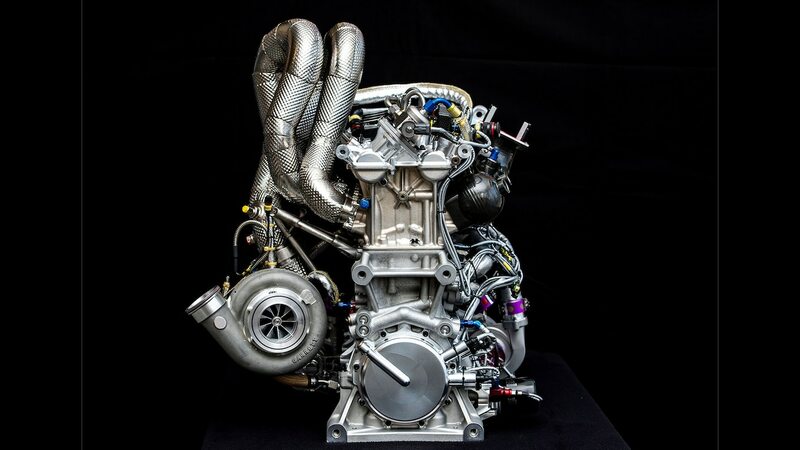 To further challenge engineers, the new rules also allow engines to make 100 hp more than last year. Audi says moving to a four-cylinder allowed it to achieve that delicate balance of power and fuel efficiency. As a bonus, the new engine is also significantly lighter than the V-8 it replaces. 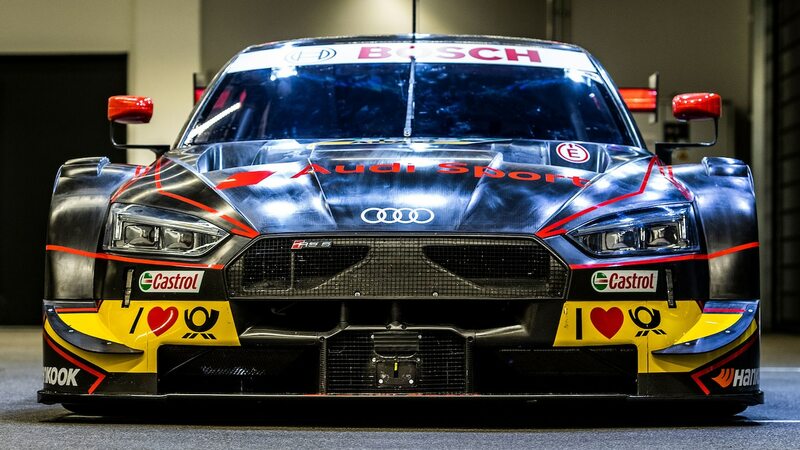 The whole powertrain weighs just 187 pounds, which brings the total dry weight of the RS 5 DTM to less than 2,200 pounds. With 610 hp on tap, that means the car has a power-to-weight ratio of 1 horsepower per 1.6 pounds. The new engine makes its debut on May 4 for the season opener at the Hockenheimring. Here’s hoping some of its tech trickles down to Audi’s production four-cylinders eventually. The post Audi Squeezes More Than 600 HP Out of its New Turbo-Four Race Engine appeared first on Motortrend.